Born in Campana (Buenos Aires, Argentina) in 1978. He attended the Technology Institute of Contemporary Music and threw himself into jazz when he started studying at Berklee International Network (BIN). He also studied composition with Teodoro Cromberg. He has been playing with the most active musicians in the local scene in Buenos Aires: Ernesto Jodos, Luis Nacht, Sergio Verdinelli, Hernán Merlo y Rodrigo Dominguez. In the United States he has played with Lucía Pulido and Donny MCcaslin with Fernando Tarres´ band. 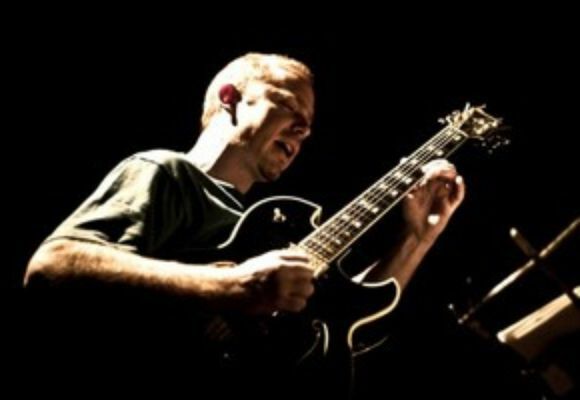 He has released three CDs: Lo que las paredes oyen (2004), Trio (2007) and Fantasías Animadas de ayer y hoy (2010) and he is actually one of the most demanded jazz guitarrists in Argentina. and at the EMC (Contemporary Music School).